Garmont, out of Northern Italy, is credited by many for making the best touring ski boots, based on fit and performance. 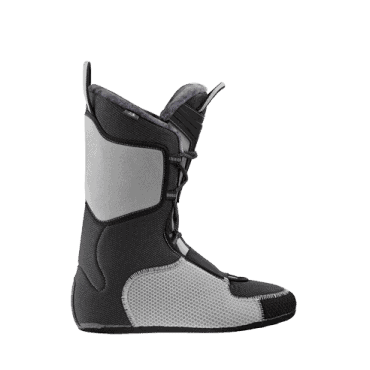 They’ve been innovating ski boot technology through rigorous research and development with the best skiers since the 1960’s. 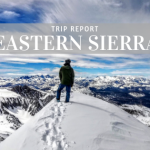 More recently they began manufacturing hiking boots, then mountaineering boots, plastic telemark boots, and finally ski mountaineering boots. This year they put out the world’s lightest 4-buckle AT boot, and it’s already getting rave reviews. We’ve had numerous customers already come into the store and ask specifically for this boot: the Garmont Cosmos AT Boot. 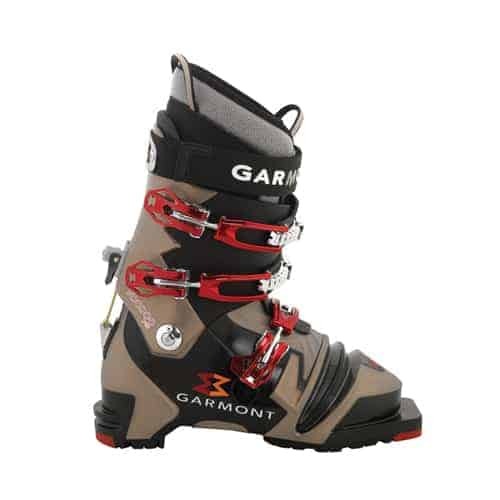 We also carry the Garmont Voodoo, a durable and robust freeride Telemark boot, which received the Backcountry Magazine Editors’ Choice award for 2012. Comfort EZ Fit liners are made to fit well directly out of the box, and are also heat mold-able to create an even more custom fit. The liners have three different construction zones that offer separate functions: the thickest, most dense part is in the heel for ultimate heel lock. The middle section utilizes more EVA cushioning and is softer so it forms to the mid-foot where you are most tender and sensitive. The thinnest part of the liners are in the toes with more stretch and even more cushioning, so you stay warmer, more comfortable and have increased range of movement in your phalanges. 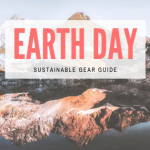 The EZ Fit liners also have a more durable sole so you can wear them on hard surfaces like around the cabin or while tuning your skis in the garage. 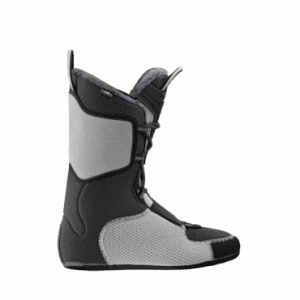 This lightweight 4-buckle Alpine Touring boot is a super-touring, super-skiing boot. It only weigh 2900 grams, or 6.4 lbs per pair (size 27.5), and offers a 120-125 flex index, 103.5 mm last, plus a spacious toe area that adds warmth and wiggle-room. Three forward lean settings let you adjust from walking mode to 11.5 degrees to 13 degrees, and the ultra-stiff cuff keeps your stance forward. 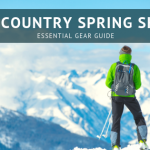 Four lightweight magnesium buckles and a low-profile lacing system are ideal for touring, and the liner’s tongue is reinforced to add padding against the shin and to increase power transfer from your legs to your skis. Garmont calls the Voodoo “black magic”, and their “burliest free-ride tele boot”. It’s laterally stiff to provide superior support, and has great forward flex so it skis incredibly smooth and strong. The shell has flex zones in all the right places, which when coupled with the lateral stiffness creates a more harmonious tele-turn. The Garmont Voodoo Telemark boot has a 130 flex index, a 100 mm last and two forward lean settings, 25 degrees or a neutral walk-mode. It also has a heat mold-able liner with sectional construction for the best fit and highest level of comfort, plus a reinforced tongue that prevents “shin-bang” and increases power transfer. 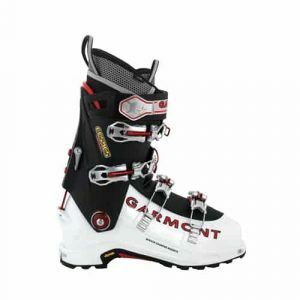 Garmont – The highest level of performance and comfort in touring and ski mountaineering boots.